Almost everyone has experience with bullying – it takes place everyday in our schools, workplaces, homes and over the Internet. And thanks to two high school students from Nova Scotia, we can all come together on Pink Shirt Day (Feb. 25) and wear pink to symbolize that we as a society will not tolerate bullying and aggressive behaviours. Danielle Law, assistant professor of Youth and Children’s Studies and Psychology at Laurier’s Brantford campus, is engaging Laurier students and community members in her work to understand and prevent cyberbullying. Her research looks at whether teens were engaging in aggressive behaviours online to intentionally harm others (proactive reasons) or whether their hurtful acts were more retaliatory (reactive reasons). Along with her Child and Adolescent Research and Education (CARE) team, Law recently held a workshop with Laurier students to explore the relationship among the bully, victim and witness. Law’s research found that the majority of teenagers are not intentionally mean; rather, they are navigating a world of miscommunication that lends itself to retaliation that spirals out of control in aggressive ways. 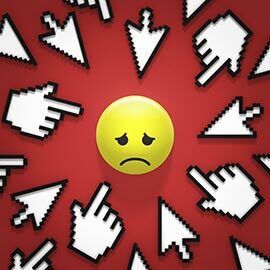 When educating teens about cyberbullying, it is important to understand their reasons for engaging in this type of behavior because how we respond to someone who is deliberate in their attacks is completely different from how we respond to someone who is hurtful because they are defending themselves. Law’s research reveals that taking away the computer or installing monitoring software does not do much to stop cyberbullying behaviours. Instead, parents and teachers should have open dialogue with their kids on how to build healthy relationships both online and offline. The workshop was part of ongoing education series, and Law’s future research will explore what makes bullies successful and how to encourage and support those who witness cyberbullying behaviours to have the courage to step forward and stop it. "Students are welcome to be part of my research or outreach team," said Law, "I encourage anyone who wants to educate themselves about cyberbullying to get involved, not just on Pink Shirt Day. This is an ongoing initiative that goes beyond just one day of acknowledgement." To read a clear language summary of Law's research, visit Scholars Commons at Laurier. For more information about Pink Shirt Day, visit www.PinkShirtDay.ca.